Gentle readers, though it's not in Brooklyn, your MatchGirl wants to share this benefit event with you. It happens tonight at 100% of the proceeds will be donated to the Red Cross to assist the survivors of Japan's earthquake and tsunami. Thanks to Star Mama for sharing! Please join Deadly Dragon Sound and guests as we honor and pay respect to everyone that has been affected by the earthquake and tsunami in Japan this past week. 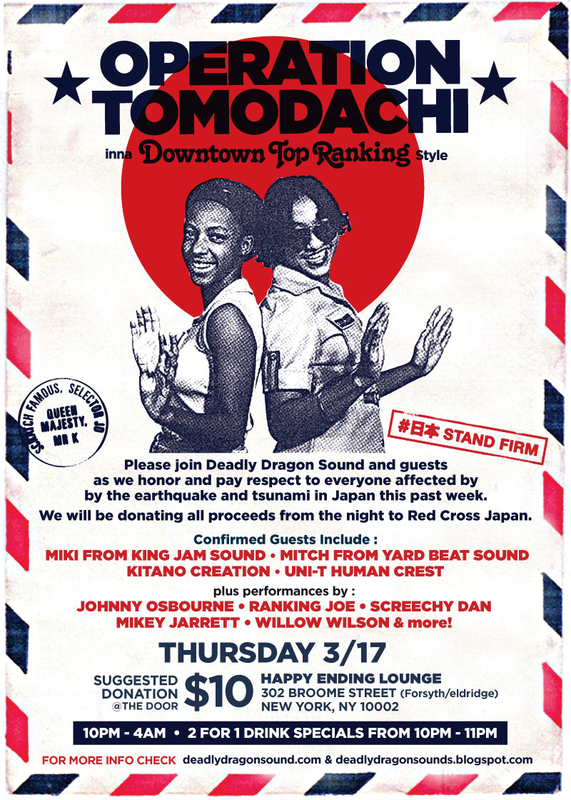 We will be donating all proceeds from the night to Red Cross Japan. $10 (suggested donation) at the door.